Good afternoon, dear readers! 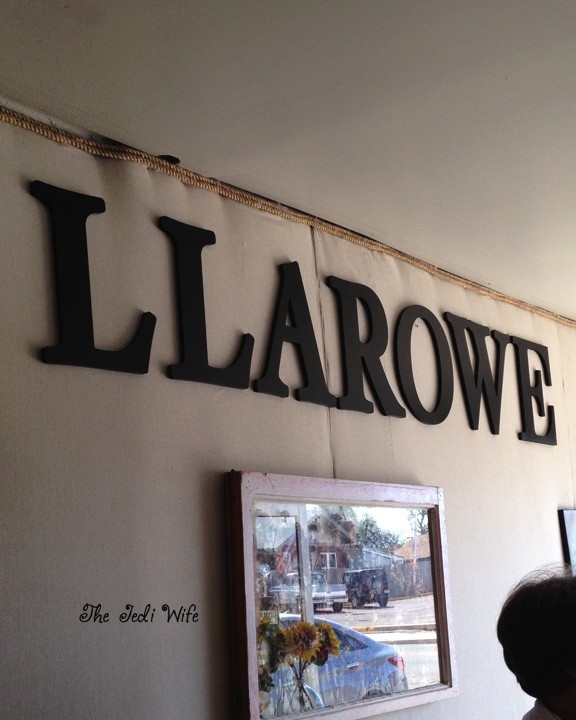 I had the pleasure of attending the opening of the Llarowe retail store today, and in spite of being there for three hours, it still didn't feel like long enough! 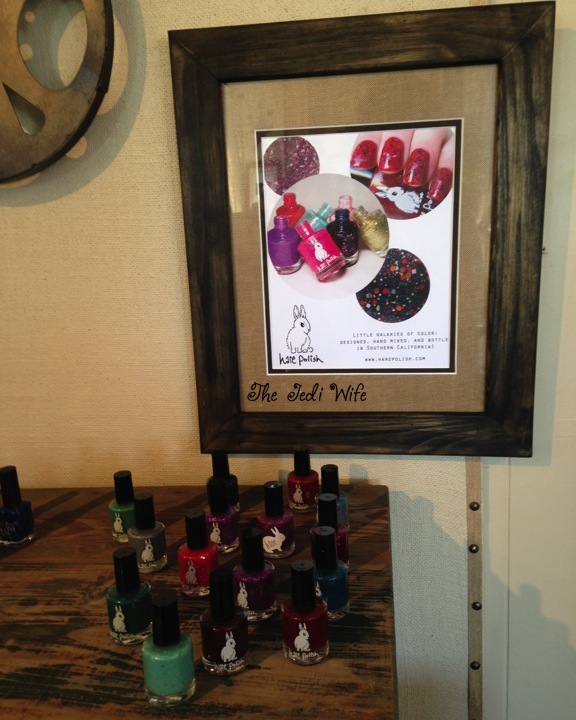 Not only was Leah Ann present, so were the makers behind several of the indie brands that the store carries! I wasn't sure how the store was going to be set up when I went in, but I love what Leah Ann and her employees (and other helpers!) have done with the place! 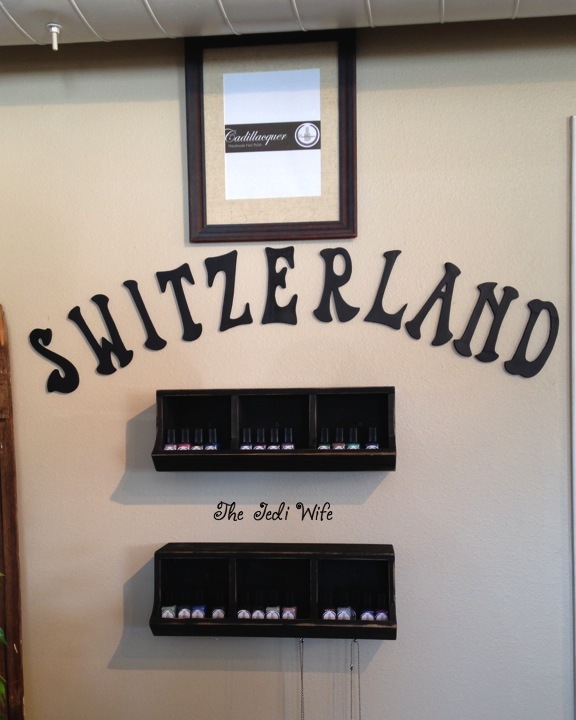 When you walk into the store, you can pick up a notecard to write down your polish choices. 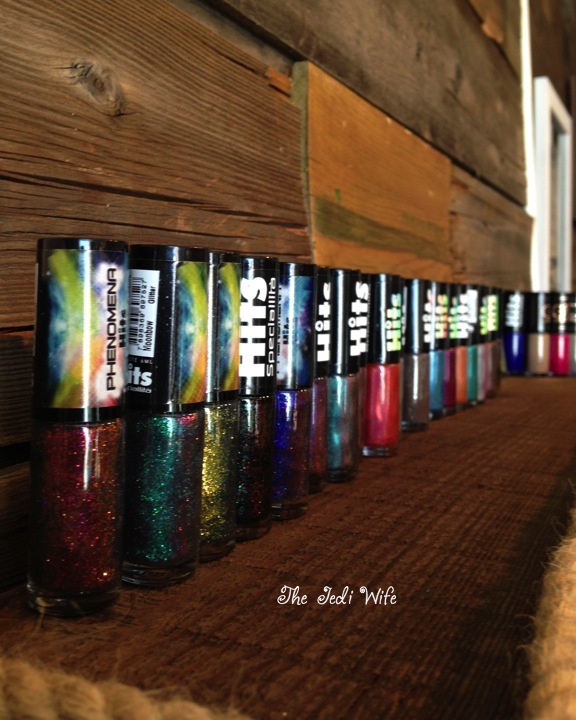 There is a polish tester for every polish carried by Llarowe, so you can open every bottle that appeals to you; beware of carpel tunnel. After you have made your final gut-wrenching decision on which beautiful bottle to leave behind because it isn't in your budget this time (I can't be the only one! ), you hand your notecard over to the front desk. 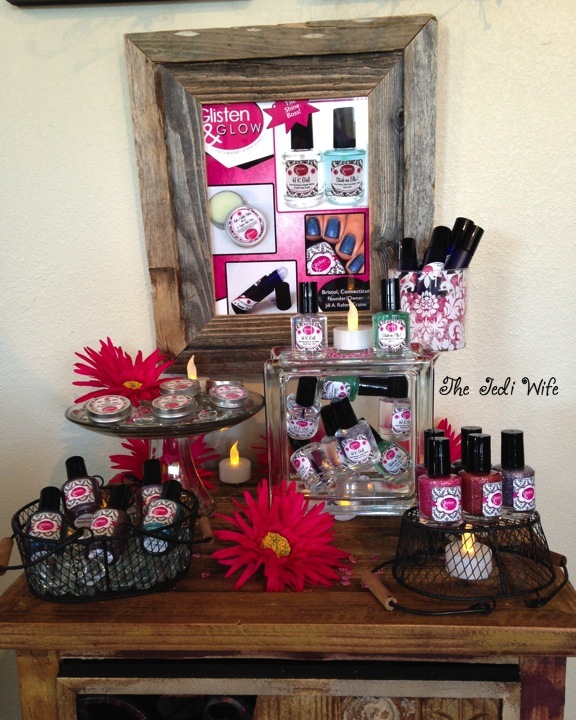 One of the employees takes your card into the warehouse and pulls your polishes for you and rings up your purchase. I love this method because it means you won't be getting a polish that someone might have used out on the floor. Occasionally polishes are not in stock, something sad that happened to me today, but they will contact you when it is available. Now, how about we get to some pictures! It's Llarowe's store, so of course I have to start with the Colors by Llarowe display! All the indie brands had their own little display, complete with a promotional photo for each brand. This particular one is for Girly Bits. I'm not sharing all the signs as I couldn't get good photos of many of them. There are large windows along one wall; perfect for letting in lots of light....with lots of glare on the glass. 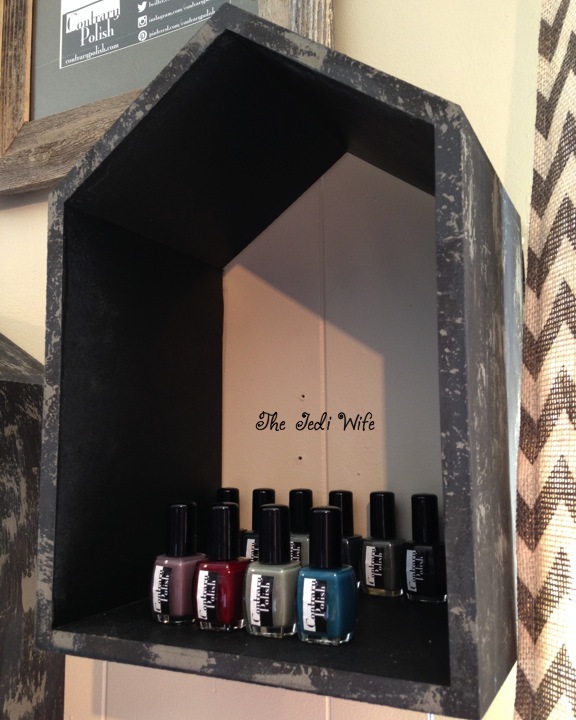 Nail polishes were displayed primarily along the walls in the store, and there was an assortment of display racks and shelves. 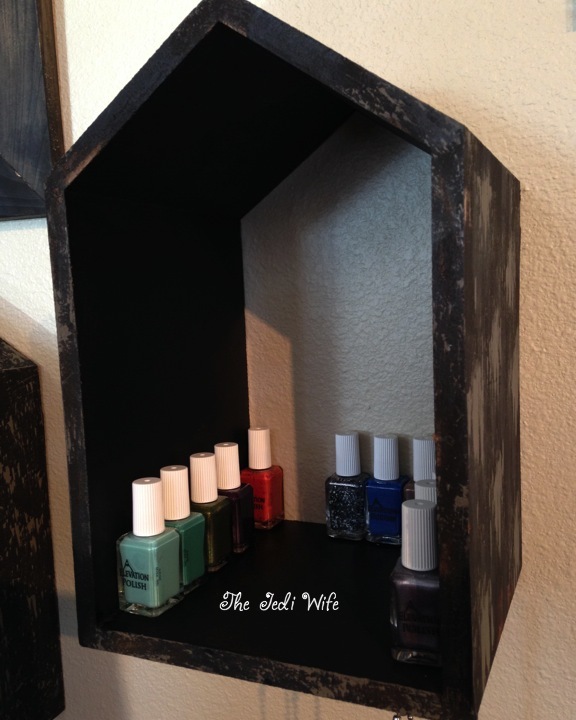 This cute shelf was dedicated to Girly Bits. 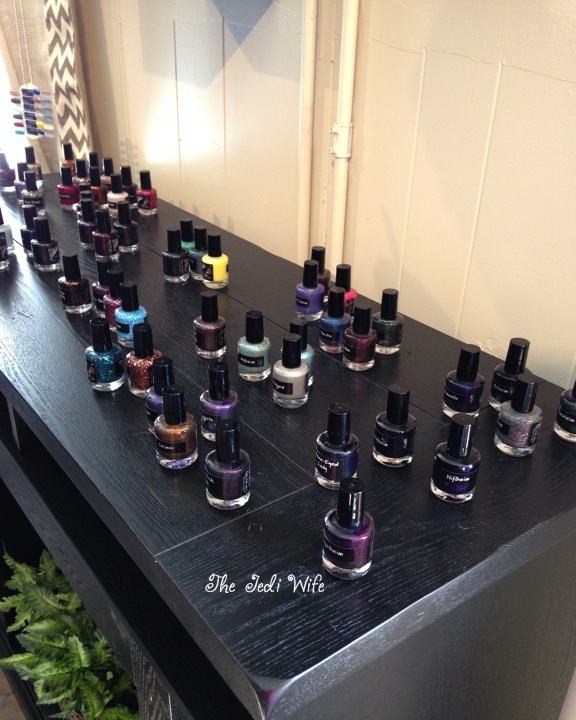 Other polishes were displayed on top of cabinets. 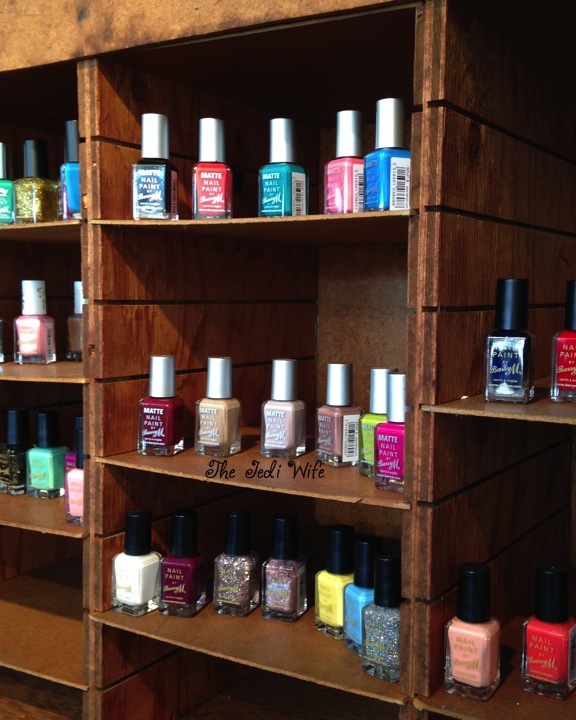 Look at all the polishes by DIFFERENT dimension! 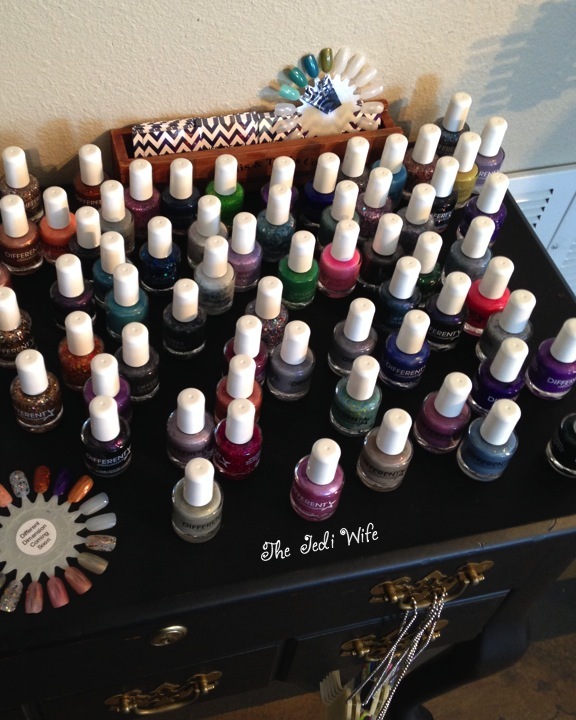 Many of these are new polishes being released later this month! Glisten & Glow had a lovely display! 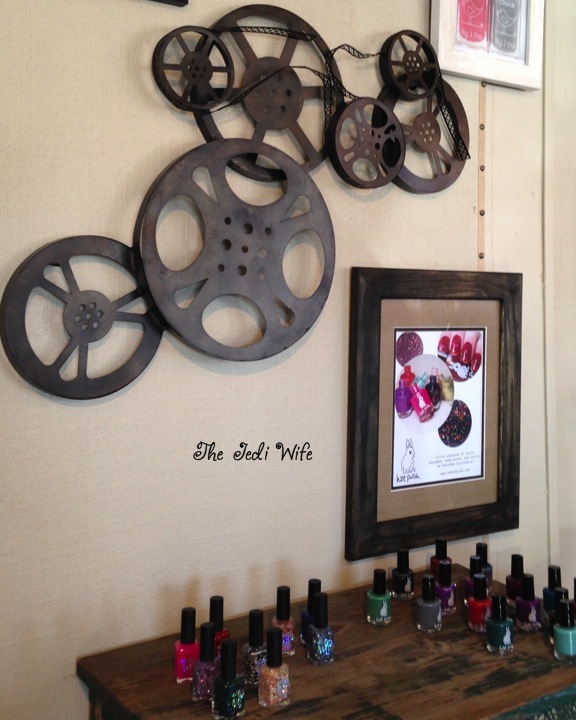 I really liked the NailVinyls display! Rather than setting them on a table where they could be missed, they were creatively hung up with twine and clothespins. Wall space was used mostly for polish, but there were some cool art pieces on the wall. 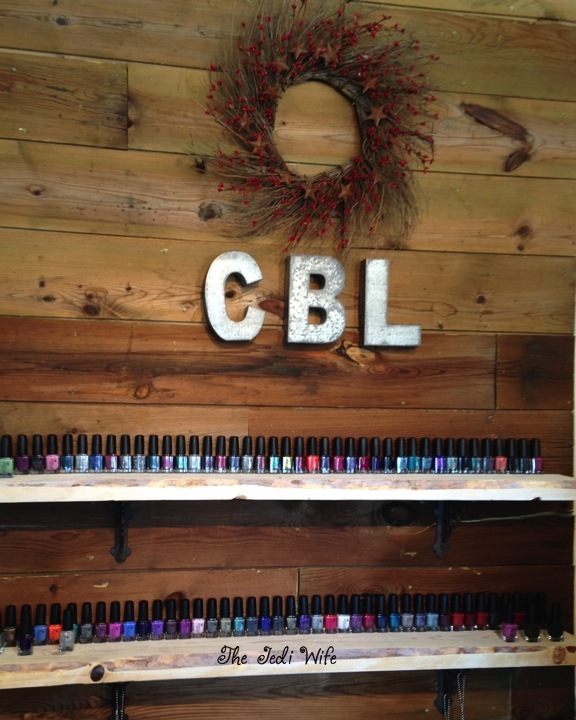 Llarowe used some great cabinets to display the polishes! The inside of this one contains Nail Pattern Boldness and Chick Polish. Next to the entrance was a table with a couple chairs for relaxing and lounging. On top of the table was this delectable tray of Dance Legends polish, just in case you needed a conversation starter with someone sitting down next to you. 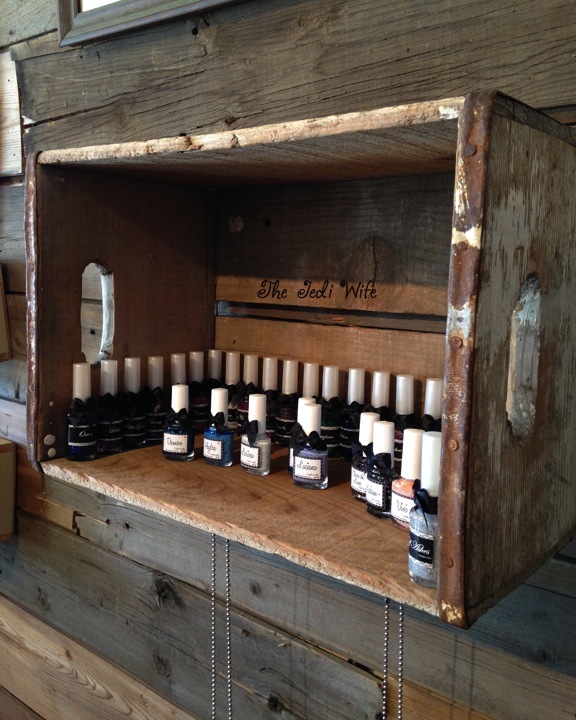 Polishes weren't kept solely on cabinet tops and shelves. 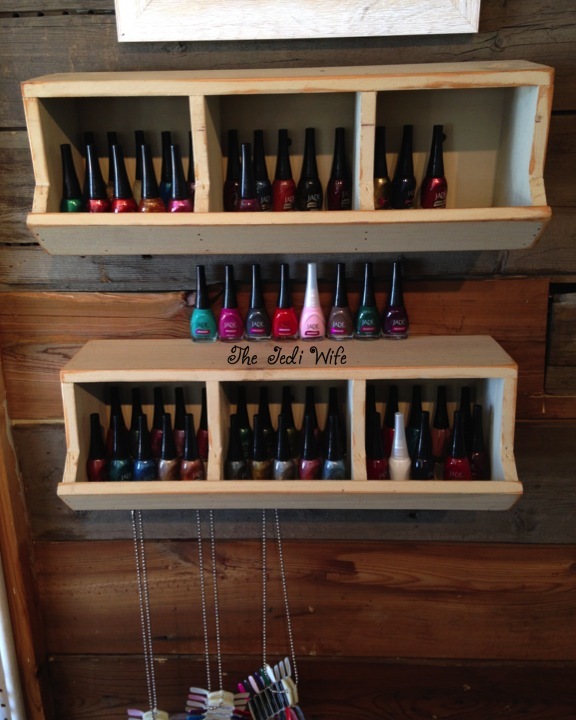 This is one of several units hung on the wall to display beautiful polish by Elevation Polish. More wall hangings, these ones filled with Jade. Notice the swatches hanging from the shelves. Not all the displays had them, but they were helpful for those that did! 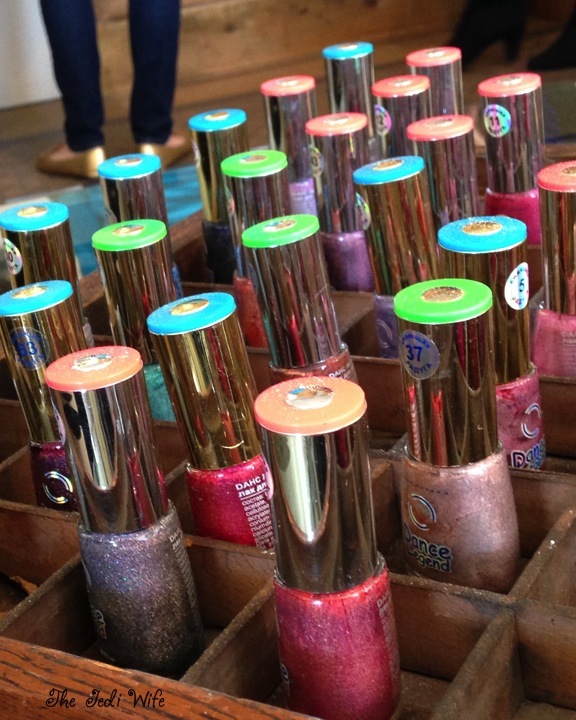 Polishes were grouped together based on origin. This will make it so much easier to track down specific brands if you are in a rush while shopping. 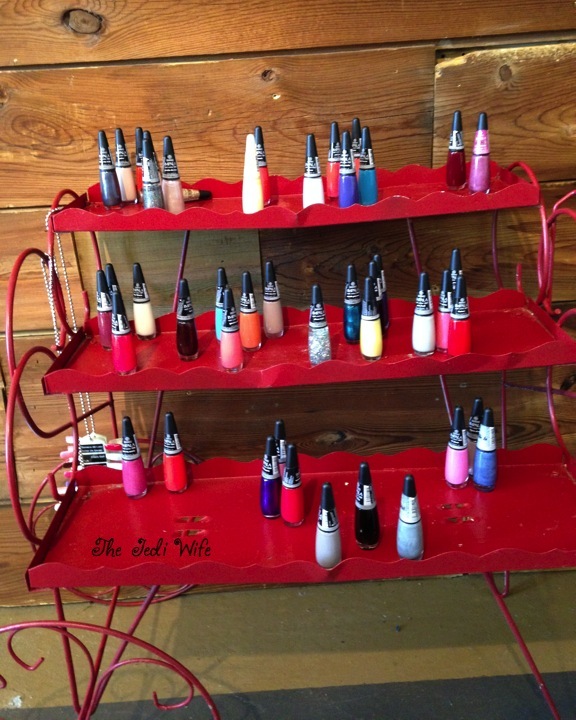 This is the Cadillacquer display. 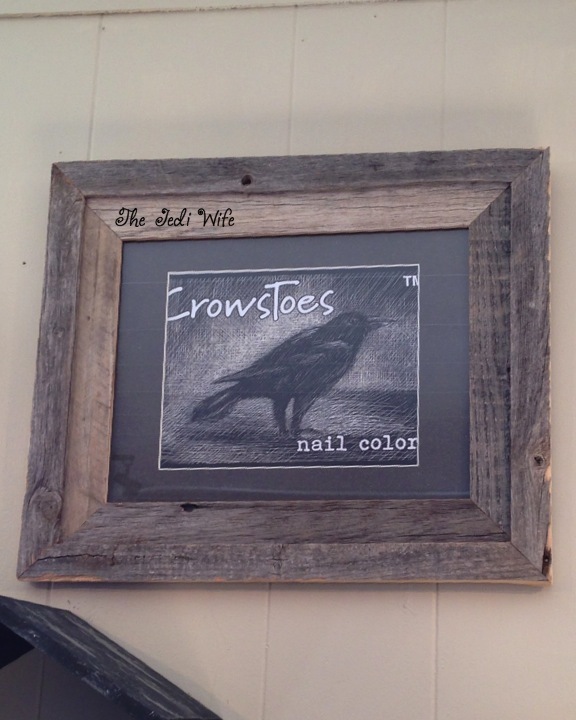 I love the rustic look of this frame! 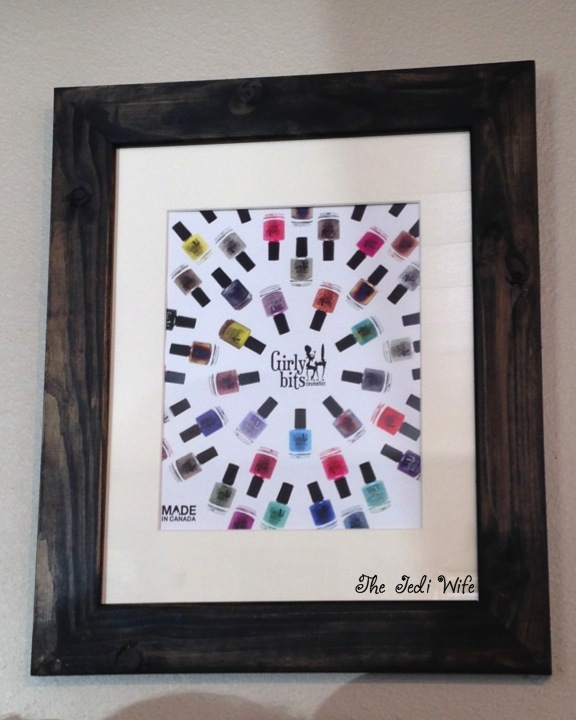 Nail Vinyls hanging above Pahlish. 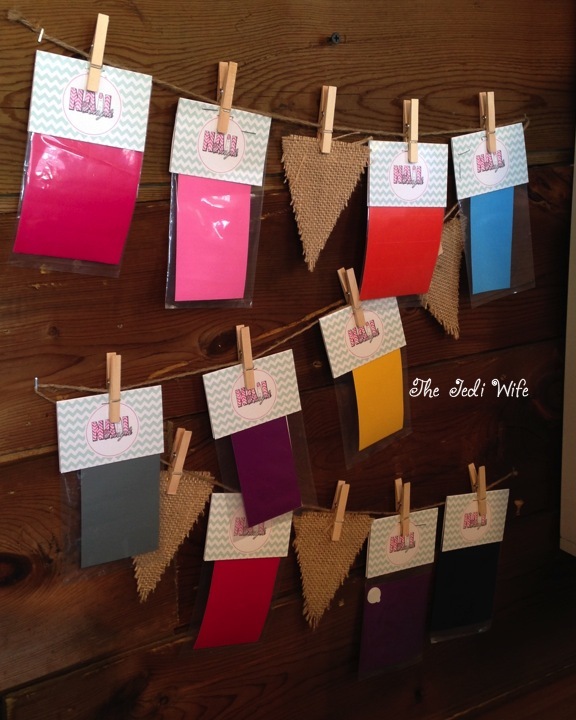 Some of the shades in the front row here at Llarowe exclusives! 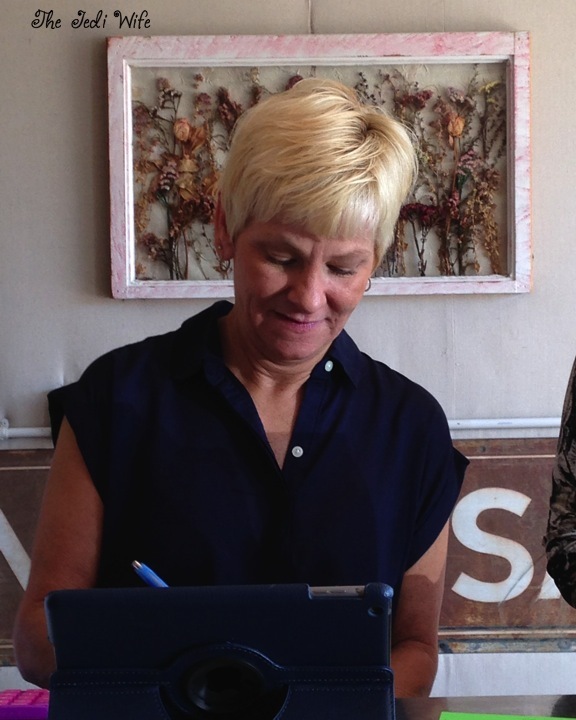 Leah Ann cross checking the polish with a customer's request list and ringing them up. I am so glad I was able to make it for the opening today, and I hope seeing photos helps you feel like you were there too. The hardest part about visiting the store is trying to stay on budget. 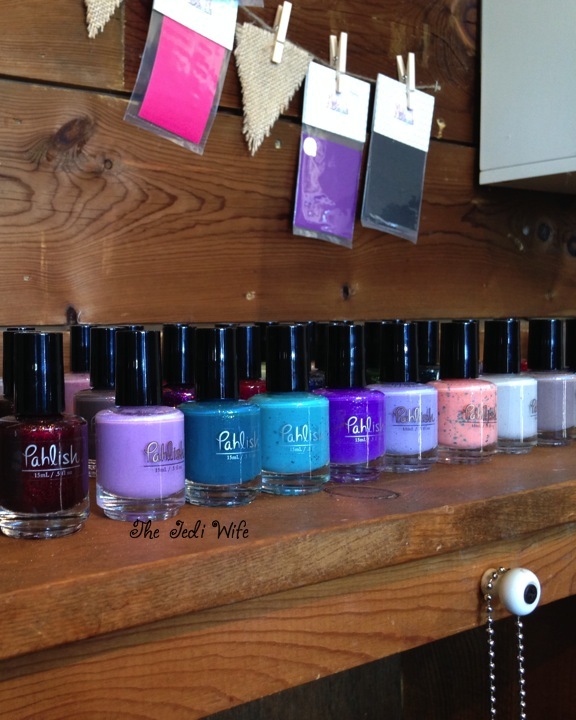 My wishlist also grew exponentially by holding many of the gorgeous polishes in person! 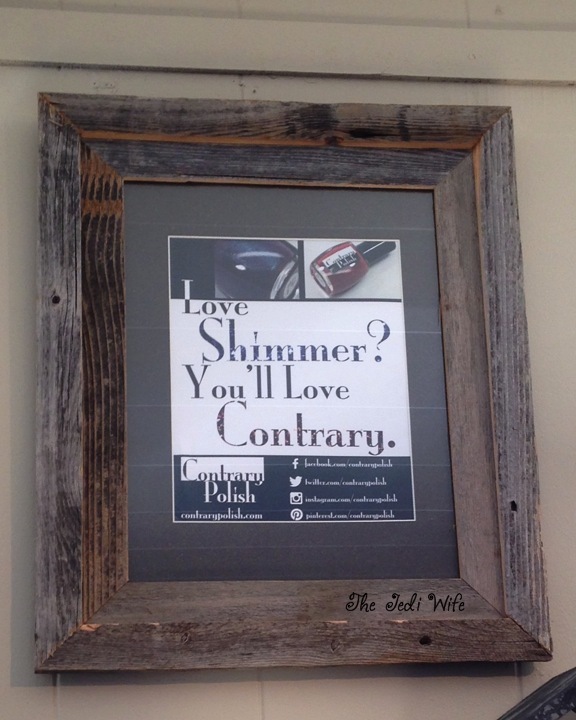 If you're in the area at some point, check out the shop! It is located at 127 South Denver Avenue in Fort Lupton, Colorado. I hope you've enjoyed today's post, and I hope you enjoy the rest of the weekend! I love the stock system and that you can test the polish! I bet there will be tons of people leaving with skittles manis! I wish I lived in Colorado! I would love to visit the store! I hsve only ordered from Llarowe, but what a heaven it is in real... I would love to make a visit in the store!! Love the post-I was so there spiritually! If I ever get back to Colorado, I am going! What a fabulous looking shop! I particularly like how they styled and arranged the items in a way that's chic, yet maximizing on visual exposure. Even their wall art looks gorgeous. I'm sure the shop will be a big hit, in no time. Thanks for sharing the lovely pictures! Wishing the shop and everyone else all the best!